In just a few days, school will be closing. Parents will not have to be thinking about homework or after school activities. What a relief! Most children are looking forward to playing outside, going to summer camp, staying up later, and having free time at home. Unfortunately, for some children, the transition from school routine to Summer time can be difficult. Their schedule and routine will dramatically change. Adjusting to new schedule and routine, or lack of, can be difficult and can trigger anxiety and explosive behaviors that can result in challenges not only for the children, but for their parents too. 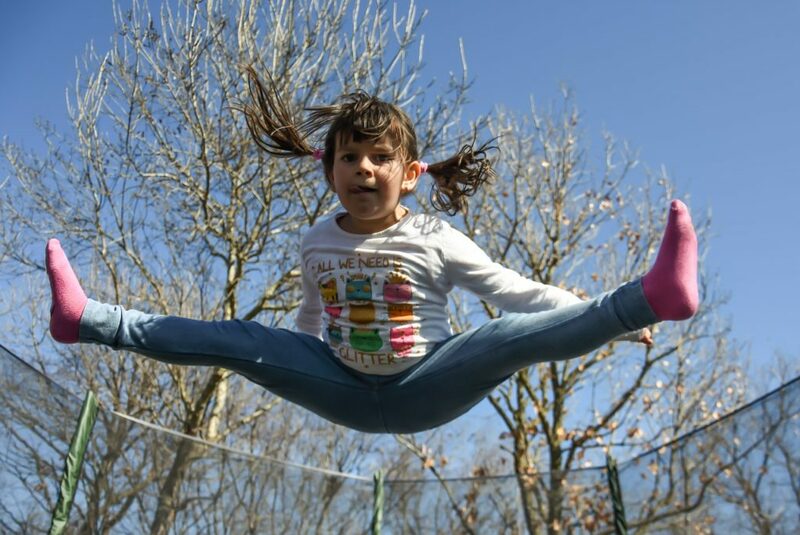 Children who have difficulty being flexible tend to rely on the structure and routine that schools provide. During school time, they pretty much can anticipate what will happen during the day. They know that from Monday to Friday they will go to school and they will have pretty much the same schedule each day. They know the routine, including how to interact with their peers and teachers, do their classwork, participate in after care activities and, at the end of their day, they will go home. Once school is over, they will spend time having to adapt to either a new routine, or no routine at all. During the Summer, those children who will be staying at home or with their grandparents, more than likely will have little or no structure during the day. They might have less opportunities to play with other children, and they will probably be immersed in watching TV or playing with electronics. For the children who will be enrolled in Summer camps, they will be facing a new routine, change of environment – having to adapt to a louder and busier setting, a change of the children and adults they will be seeing and interacting with, and a change of activities they will be participating in. Communication: Talking with your child, as early as possible, about changes that will occur in their schedule during the summer. This will help your child to prepare for what will be happening, minimizing the amount of stress these changes could cause. If “behaviors” are already happening, it’s helpful to understand that behaviors are communication. Outbursts of unpleasant behavior may be caused by frustration over trying to communicate what they feel or a product of a routine change. Being overwhelmed usually unable to handle frustration or anger in a more effective way and reduces the child’s ability to manage his feelings and express them in a more mature way. If this is happening, it is useful to stay calm, talk to your child to find out what can be overwhelming him (sensory overload, challenges participating in activities, meeting new friends, feeling trapped or bored at home) and help him to come up with solutions to conflicts before they escalate more. Breaking tasks down into one-step directions (“first, take off your shoes”), and talk to your child to prepare her for situations she is encountering (“you can let your counselor know you do not like to ….”) can all help avoid tantrums and meltdowns. Recognize the warning signs. It’s important to know the signs that your child is getting overloaded to know what you can do to help them. Sometimes the best thing you can do is to step back and observe your child or talk to her about her day. What is causing him to develop a temper tantrum every morning, or when you pick her up from camp? If your child spends the day at a Summer Camp, it helps to engage in conversations with your child about his day. You can ask about the new “friends” from camp, activities they did, what he liked and what was not so fun. If your child has a difficult time engaging in the conversation, you can obtain information from the camp counselors about activities they did during the day and ask your child questions such as: “I wonder what you did today…. Did you play soccer, or did you go in the pool? Many times, if you give your child a little support by mentioning something they engaged in, your child will have an easier time to “tell” you what happened during that day. Create either a calendar or a list of the new daily schedule to give your child a cue of how to move through the day. Visuals assist children in knowing exactly what they can expect (e.g., having breakfast, going to the park, swimming). Talk to your child about sudden changes on schedule. By teaching your child that it’s not the end of the world when plans change, you can help him learn how to remain calm when their plans must change. If your child will be attending Summer Camp or specific new summer activities, introduce your child to the new activities or places beforehand to make the transition easier. It is a good idea to take your child to get familiar with the Summer Camp location, and to talk about what your child can expect, including the kind of activities your child may be involved during camp. Setting up your home in a way that will create an engaging environment for your child will be helpful. For example, set up a water play area outside with a sprinkler, or a water table with different cups, funnels, and pool toys. Ask your child to help you set up an obstacle course that might include your swing set, or a soccer field. Inside you can create a sensory area for your child. Examples of things that are helpful to have in your house include a bean bag chair, a trampoline, a home-made tent, and bins of sensory toys that your child will enjoy. You can have bins full of sand, rice, corn, little pebbles. Your child can be looking for hidden objects, pouring from one container to another, burring their hands, filling up containers. These bins can provide your child with many hours of entertainment. Whether your child goes to Summer Camp, or stays at home, Summer brake brings time to be outdoors. Your child might be swimming, riding bike, or going to the park. Spending time outdoors can be fun and beneficial. As a parent, you will need to talk to your child about important safety behaviors, including wearing sun screen, and water and bicycle safety. Avoid developing bad habits during the Summer. Going to bed very late at night because it’s Summer time, or spending hours and hours of screen time can be habits that will cause a lot of problems once school starts again. Screen hours will also decrease the amount of time your child can use to just actively PLAY. Play dates with peers are a critical to social development. Reach out to your neighbors, friends and family, or to the parents of your child’s classmates, and plan some playdates. Encourage your child to explore new things, create new games, play with new friends, and have as much FUN as they can. In the morning, on your way to camp or grandma’s house, talk with your child about the possible games and friends he might be playing with that day, or any other activity or field trip she might be engaging into. Summer can be a wonderful time for growth in all areas. Summer activities allow children to become independent and self–confident, while socializing and making new friends and learning new things in a positive environment. Summer time is a great opportunity to find ways that you and your child can play together. For more information about how important PLAY is, please visit us at The Power Of Play to get more information about it.